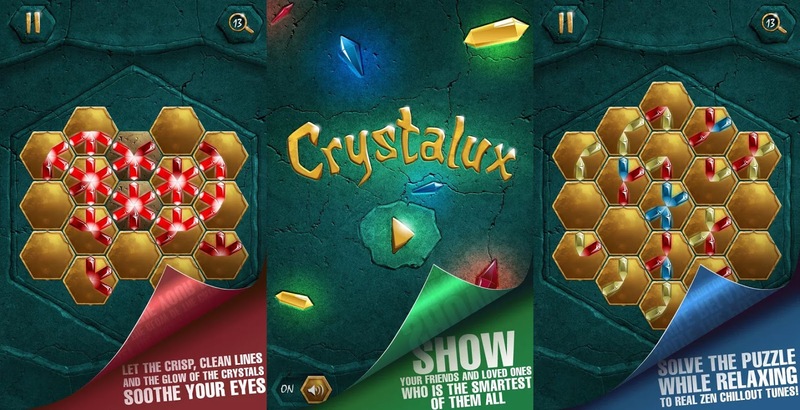 Crystalux puzzle game is one of the most popular games for android devices. Although the gameplay in Crystalux is very simple, the puzzles you need to solve are difficult to master. You need to move tiles with glowing crystals until you obtain the required design. You don't know how the design looks so finding it is more of an trial and error task. You will have to plan each crystal you move in order to solve each level. The beginning levels in Crystalux are easy to solve, and you probably won't require cheats to solve them, but starting from level 20 the levels becomes harder and harder. If you can't figure out how to solve a level and you are looking for the solution, I will help you. I made walkthroughs for each level in Crystalux, you just need to pick the level you seek below and you will see the walkthrough. Crystalux New Discovery is now out, it has the original levels form Crystalux original game + a lot of new levels. Solutions for all Advanced level pack added, including BOSS Level 91! Yo completé 2 veces tos los niveles incluido el nivel jefe, este nivel (jefe) al completarlo es un signo de interrogación, no la figura que muestra esta página.